Macramé is a form of textile making that's created by tying knots. It seems to be popping up everywhere, from retail windows and thrift shops to craft parties and baby nurseries. For us, it conjures up images of the 70s—long beams of sunlight bouncing off hemp planters—but the origin actually dates back to 13th century Arabic weavers known as 'migramah' meaning fringe. Macramé has a rich history, and makes a stunning decor statement, especially when paired with modern spaces. You can add a bit of macramé to your baby nursery in so many ways. There are macramé bassinets, macramé curtains, macramé wall hangings, and macramé planters. Macramé also makes for a great DIY project with your kids. 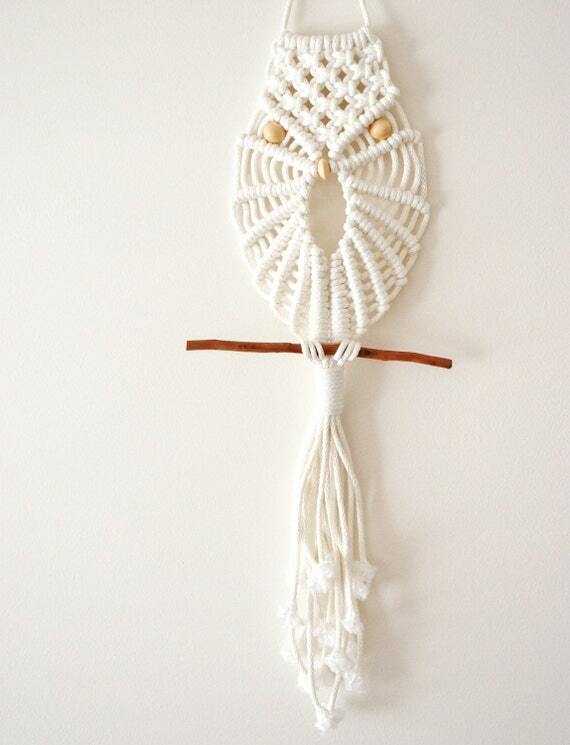 There are a number of tutorials online, but we found this macramé wall hanging from WhimseyBox Blog to be the most informative. The instructions contain photos and videos and they even sell macramé supplies in case you're unable to find them at your local hardware or craft store. Let the knot tying fun begin!